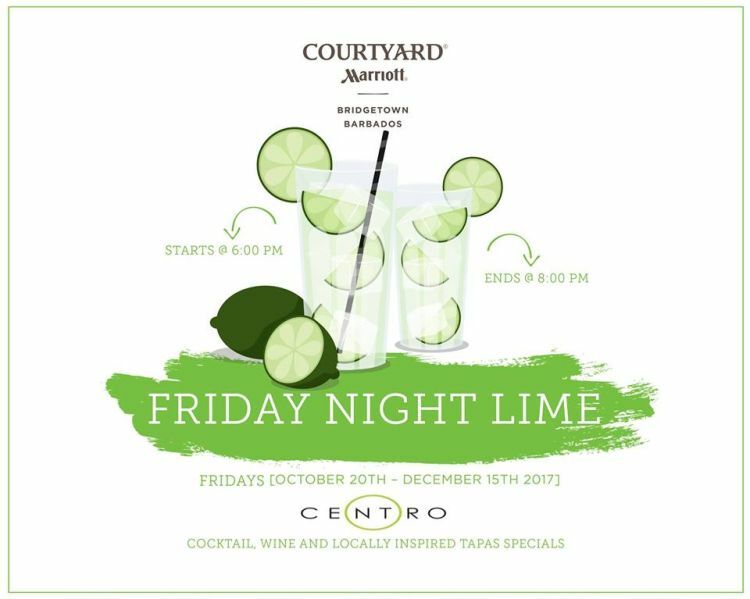 Join the Courtyard Marriott for an Friday Night Lime at Centro. Enjoy Cocktails, Wine and Locally-inspired Tapas. Available every Friday until Dec 15th 2017.